Multivu.prnewswire: Daniel Radcliffe has been involved with The Trevor Project since August 2009, when he joined the Circle of Hope, a community of major donors which plays an essential role in the financial leadership that makes the organization’s lifesaving work possible, with a significant donation. He has since continued his involvement, taking a tour of The Trevor Project’s East Coast Call Center in New York City this February during which he met with staff members and volunteer helpline counselors and also filmed the PSA. Daniel Jacob Radcliffe(born 23 July 1989) is an English actor who rose to prominence playing the titular character in the Harry Potter film series adapted from the book series of the same name. 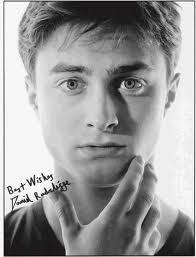 Radcliffe has also made appearances in stage productions and a number of TV shows and films, including the ITV film My Boy Jack and the stage show Equus, for which he was nominated for a Drama Desk Award (Wikipedia).